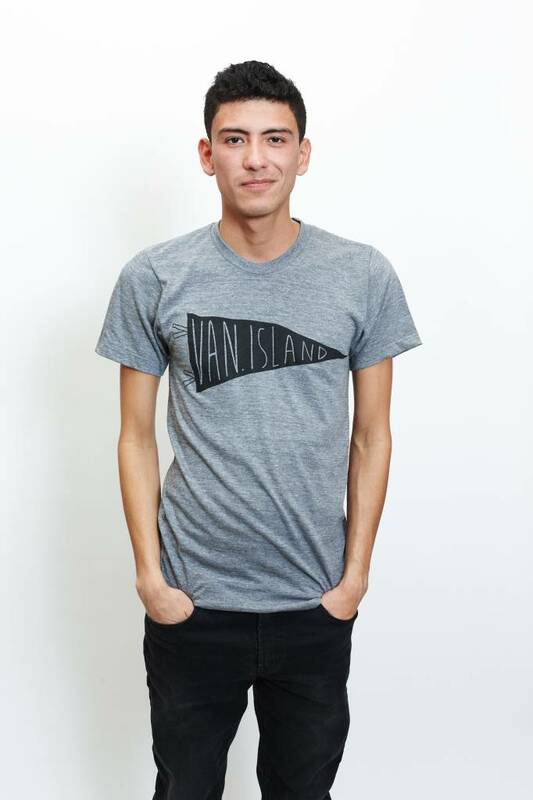 Vancouver Island community tee in Grey by Locomotive Clothing & Supply. 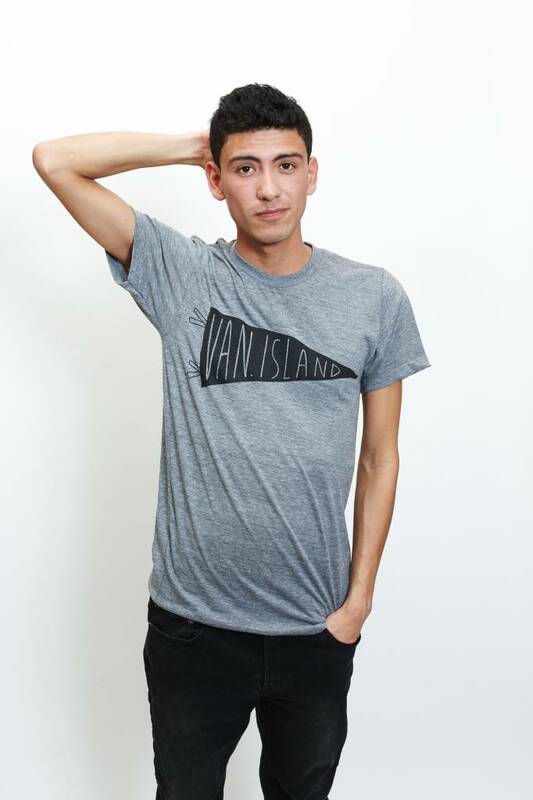 Representing Vancouver Island with the softest, most comfortable throwback style community pride tee. 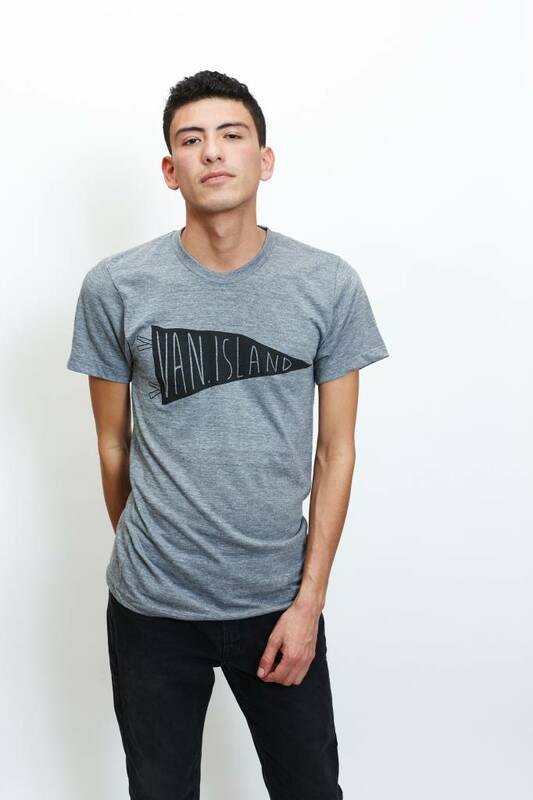 This unisex tee is a standard men's fit. A more fitted women's tee is also available. The unisex also works great on women who are seeking a more comfortable fit. With a vintage look and soft feel, this t-shirt is an athletic grey track style poly/cotton/rayon (50/25/25) tri-blend jersey. Please wash in cold water and hang to dry. 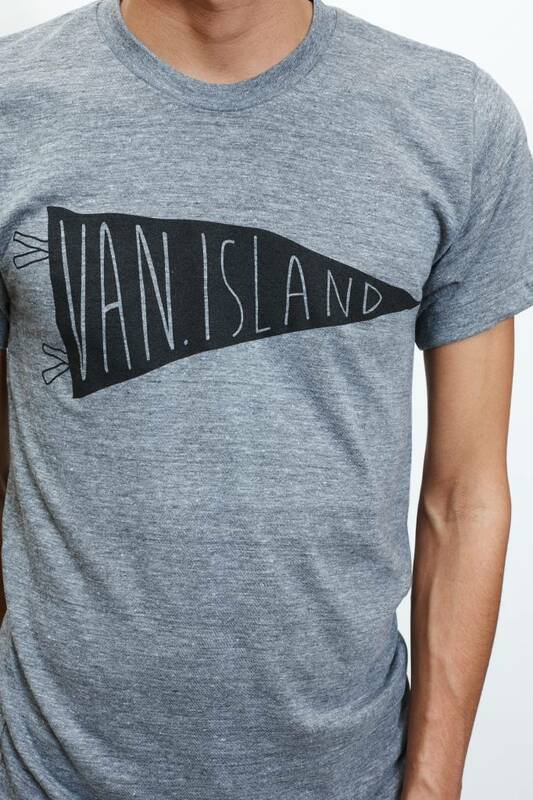 Printed in-house and by hand in Vancouver, BC by Locomotive Clothing & Supply.